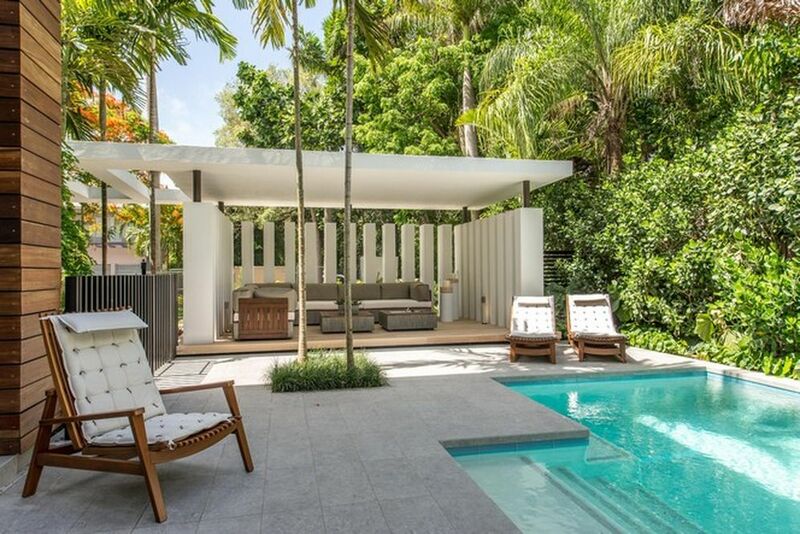 Mainly designed by architect Charles Treister, this Tropical Modern Home is situated on a tranquil block of South Grove and just a leisurely stroll away from the heart of the village of Coconut Grove. 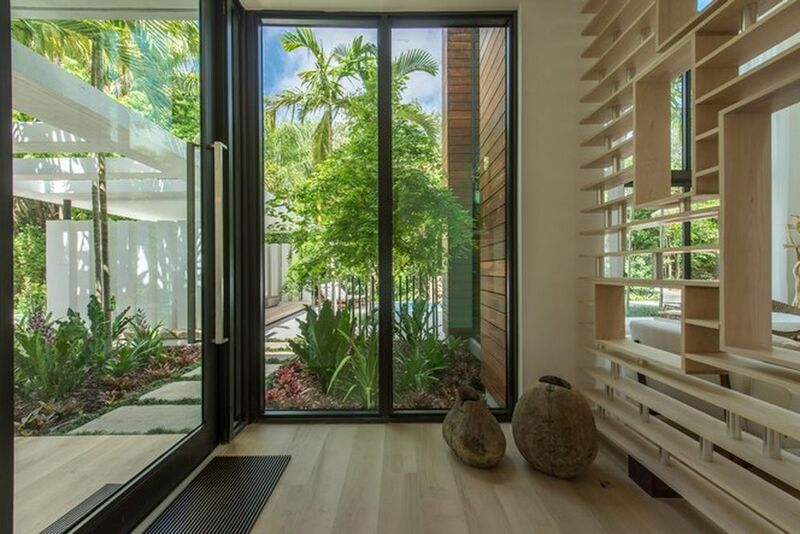 Every living and entertaining space of this residence organically draws in all the elements of nature...fire, water, wood and air. 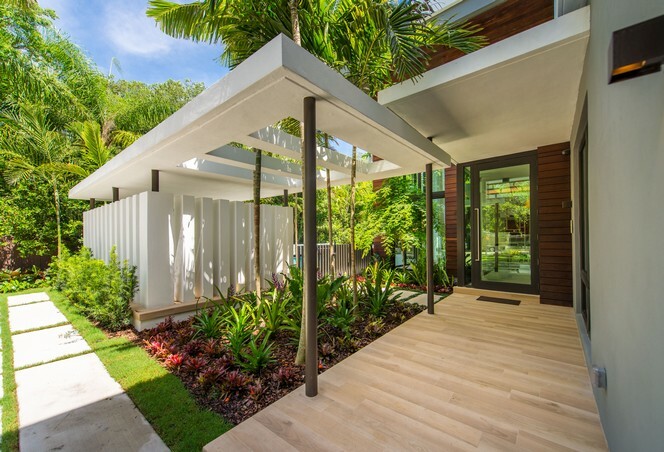 Outdoor living is an integral part of this home with five distinct but fluid spaces featuring a cabana, heated saltwater pool, fire pit, outdoor kitchen and dining room. 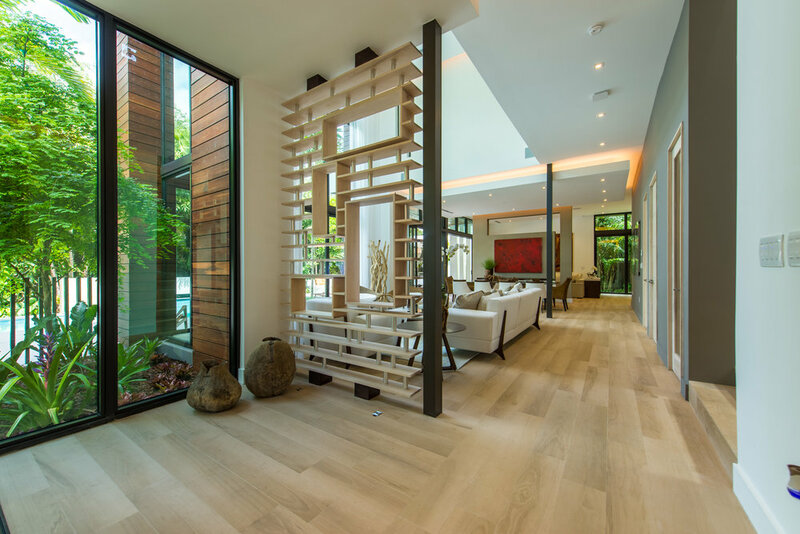 Meticulously curated architectural details throughout the home provide a unique feel and character to every room.